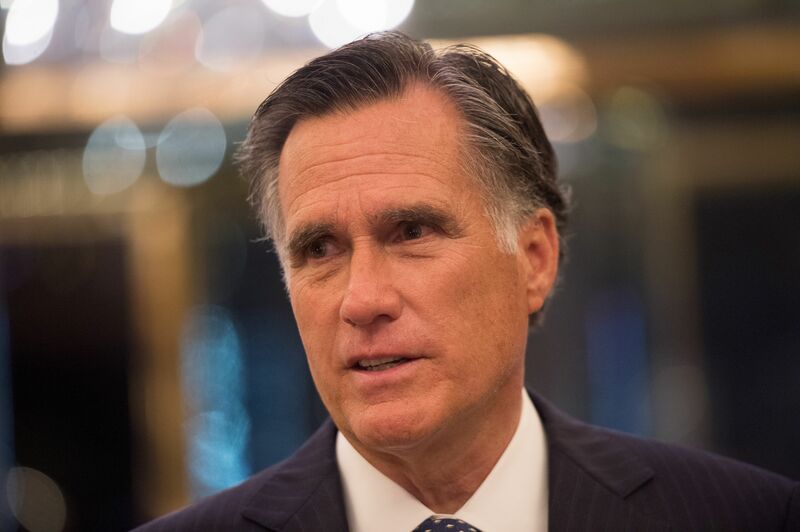 Mitt Romney stood in front of an audience at the Hinkcley Institute on March 3 and stated his unequivocal opinions about Donald Trump: "If we Republicans choose Donald Trump as our nominee, the prospects for a safe and prosperous future are greatly diminished," Romney said. And after pointing out Trump's "most ridiculous and dangerous idea," to let ISIS take over all of Syria, Romney went on, "I'm afraid that when it comes to foreign policy, he [Trump] is very, very not smart." Then Romney rightfully hit Trump on his character. "Think of Donald Trump’s personal qualities. The bullying, the greed, the showing off, the misogyny, the absurd third grade theatrics." On all counts, he was right. But after last night's swanky dinner with the president-elect and his subsequent praise of the man he once denounced, I, for one, will really miss the old Romney. The general election was tough to swallow for Trump's critics. Once Paul Ryan folded and endorsed Trump, most reluctant Republicans seemed to feel they had sufficient ethical cover to duck under, offering their own tepid support of Trump. Promises of a convention coup were squashed by none other than the "Establishment" Trump regularly railed against. Even after the leaked tape in which Trump bragged about sexually assaulting women, only a handful of elected representatives left the party leader. "Principle over party" is not really a Republican thing in 2016. But Romney was a true holdout. He stated at the Aspen Ideas Festival that he would not vote for Trump, because his conscience wouldn't allow it. And on the day before the election, Romney tweeted that Republicans should definitely vote... for their Senate, House, and local representatives. No mention of Trump, and that was no accident. And then, Trump won. Romney sent out an ambivalent tweet of bland congratulation. I thought that would be it from the former governor, that his adherence to kindness compelled him to say something positive, but in private he had no intention of supporting the man he'd so publicly denounced. I thought wrong. On Nov. 19, Romney met with Trump, since he was supposedly in the running for Secretary of State. And I wishfully believed this was just a photo-op for both men, maybe a way to encourage everyone else to rise above their divisions and put the country first? A meeting could entail anything, right? Maybe the two sat in silence, or talked about the weather, or compared stories of grandkids? Perhaps Romney told Trump he'd better bring his A Game, or the impeachment papers would be soon forthcoming. The thing is, you can spin the content of a meeting, and so I tried not to read too much into it. Eleven days later, Romney and Trump shared a cozy, candlelit dinner. The dinner menu reads like it's pulled straight off Lifestyles of the Rich and Famous. (Fitting, but still... sautéed frog legs? Come on, guys.) And I can't help but think of generic mobster films after seeing the press photos from the Romney/Trump steak dinner. If that weren't enough, Romney emerged to make a statement reneging on his former Trump claims, and forfeiting the credibility he'd earned as an unwavering Trump critic. Romney said, "[Trump] continues with a message of inclusion and bringing people together." He went on to say that "America's best days are ahead" and he is increasingly hopeful that "President-elect Trump is the very man who can lead us to that better future." But if you're like me, you'll have to see it to believe it. Romney would, by all evidence, make a decent Secretary of State. But it is unusual for someone to go and work for a person they think is misogyny, bigotry, and bullying personified, not to mention "very, very not smart." Either Donald Trump has undergone a personal metamorphosis (nope), or Romney is taking this opportunity for political gain and running with it. The "unequivocal" mind Romney had about Trump turns out to have equivocating powers. I feel a bit naive for being so surprised and disappointed, but that's par for the course with 2016. Still, I'll miss the old Mitt Romney — the staunch Republican who was fearless and relentless in denouncing a man most of us considered unfit for the presidency.